Romantic character Spanish circa 1926. Set on a peaceful street above the Beachwood market. Spacious and open living with a well balanced floor plan. 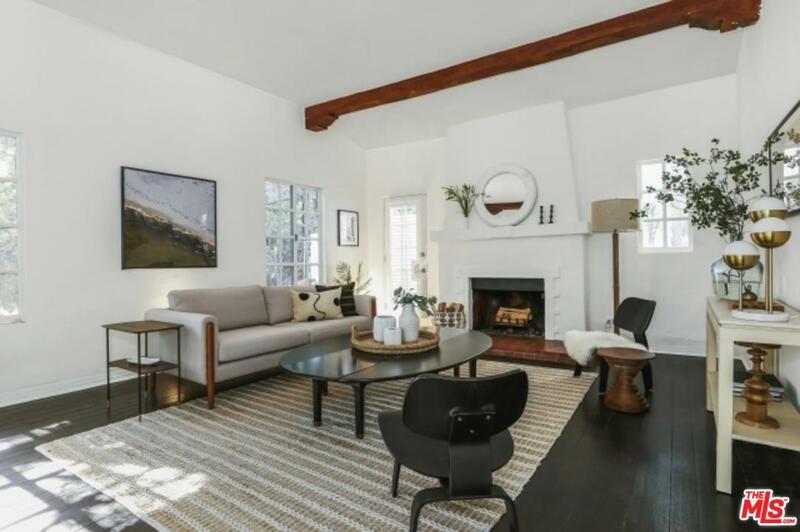 The generous living room has vaulted and beamed ceilings with a wood burning fireplace. The indoor/outdoor flow is perfect for entertaining. Relax in the hot tub after a long day at work. The Cook's kitchen, featuring Viking range and stainless steel appliances, opens to a cozy den and formal dining room. The master suite has high vaulted ceilings and a Juliet balcony. A bright master bath is updated with a freestanding French tub. 3 bedrooms and 2 bathrooms complete the second floor.Securely gated for privacy with a 2 car garage and ample storage space. Hollywoodhills living at it's best!